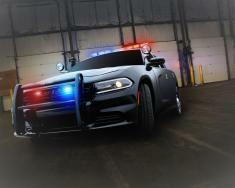 GFX Law is ready to build law enforcement vehicles to suit any and all needs. From graphics and wraps, to officer safety and security, GFX covers it all. Every product, option and package is developed using the best components from leading industry suppliers. GFX's team of skilled installers provide world class reliability and exceptional value for agencies of any size. Personal service, customization, build quality, and quick turnaround times are the reasons why GFX Law is the preferred upfitter for law enforcement vehicles.